Explore our media section for news, videos, photos and more! 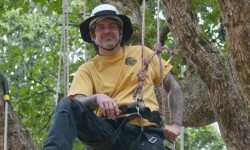 Read what others are saying on our Testimonials page and be sure to check out our network of tree climbing cohorts on the Connections page! For media inquiries, please contact Gray Public Relations.